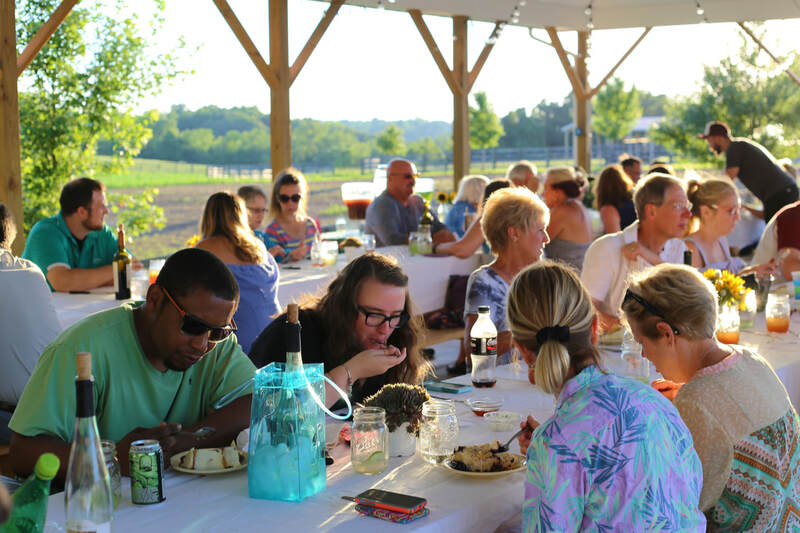 Gritt’s invites its neighbors to indulge in a four course meal on the farm. Our chef or featured guest chef creates a delightful dining experience using the best of our seasonal harvest as well as other local ingredients from fellow farmers. Marinated green tomato slice fried and topped with fresh mozzarella,marinara, balsamic reduction, and finished with a basil oil. ​All ingredients are harvested from our farm as close to your dinner as possible. 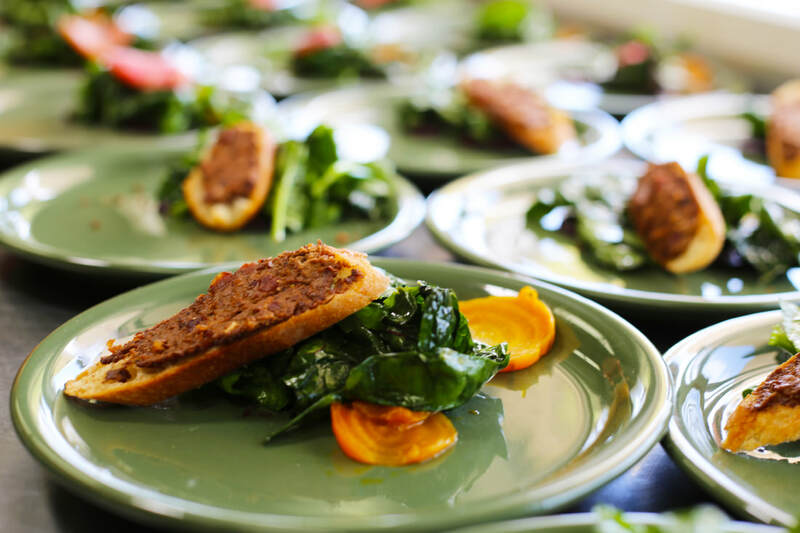 Gritt’s also partners with other farmers in the area to provide meat and other local ingredients, creating a cuisine unique to our neck of the woods. Please let us know if you have special dietary needs. ​Dinners are normally hosted about 6 times per year, once a month from April to September. Aside from the meal, each dinner features special beverages and entertainment such as music, and anything else we decide to surprise you with. ​Please arrive before the seating time. 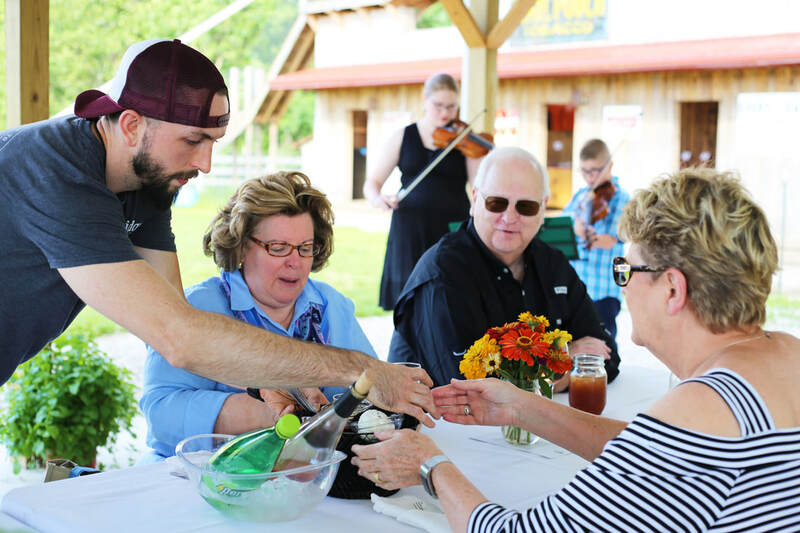 Guests are encouraged to arrive 30 minutes prior to seating to check in, sample and purchase wine, and mix and mingle with other guests. Please follow the event signs placed from the parking lot to our pavilion. We can accommodate for all abilities, so please let us know ahead of time if you have mobility issues or other needs. ​Since you will be seated outdoors, please dress appropriate to the weather. This is also a working farm, so we recommend you be aware of your surroundings and wear proper footwear (closed toe, comfortable shoes). ​Gratuity is not included in the price of your ticket. If you like the service staff, please show them appreciation, there will be a tip jar available.